The North Eastern Skin Research Fund was set up in 1966 in Newcastle upon Tyne to promote research into the cause, prevention and treatment of skin disorders. It was the first charitable trust for skin disease to be set up in the United Kingdom. 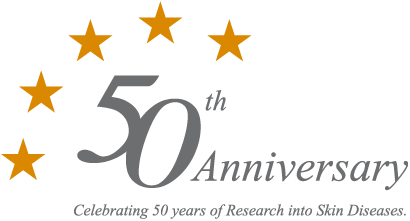 In the past 50 years we have supported skin research at all levels throughout the North East. Skin disorders are extremely common. For example, over half the population are affected by skin disease each year, with up to a third of the population being affected at any one time. Skin problems frequently cause symptoms such as itch and discomfort. Furthermore, skin disorders can be very disabling, but the psychological effects are often under-appreciated. Problems are often long-term and can severely affect quality of life. However, skin disease rarely kills so investment into research has been relatively neglected. Yet, the rate of the potentially life-threatening skin cancer melanoma continues to rise. What we can do is greatly limited by available funds and it was for this reason that the North Eastern Skin Research Fund was established. We wish to continue developing the charity to support the research which so desperately needs to be done. Our aim as always is to help patients who suffer from disabling skin disease.